Robert Andriulli was born in Paterson, New Jersey, in 1948, and now resides in Millersville, Pennsylvania. He received a B.A. from William Paterson College of New Jersey in 1975 and an M.F.A. in Painting from The Pennsylvania State University in 1978. He also attended summer fellowship programs at Yale University in Connecticut and Oxbow School of Art in Michigan. 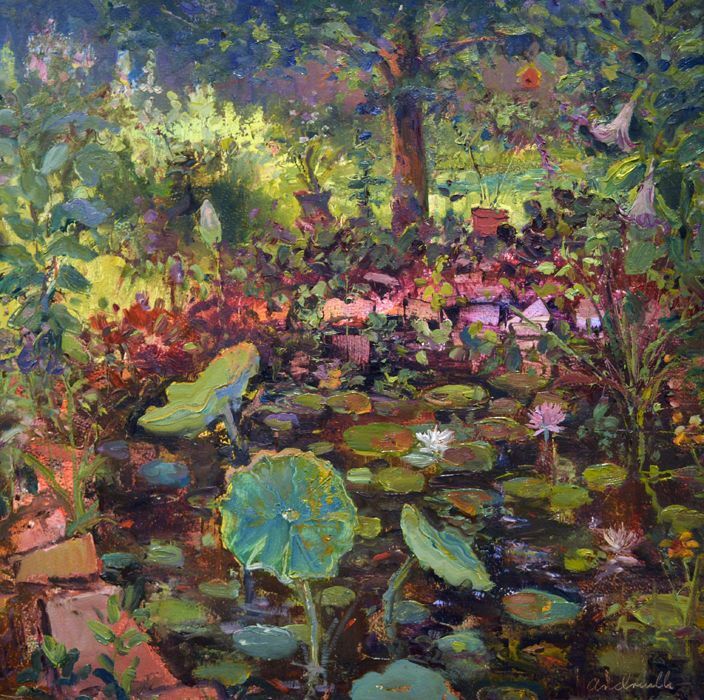 Robert Andriulli is currently a Professor of Art at Millersville University in Millersville, Pennsylvania, and has formerly taught at Bowdoin College in Maine, Seton Hall University in New Jersey, and at Pennsylvania State University in University Park, Pennsylvania. Paintings by Robert, whether created from direct observations or studio elaborations that evolve from many sources, are recognizable for their painterly realism that depicts both a fidelity to subject and an uncommon visual style. For over 30 years, Robert Andriulli has explored a variety of subjects and themes, but has consistently been concerned with issues of representational landscape paintings- both rural and urban. The works created during this period represent his continued interest in responding to the various forms and light of nature and in certain juxtapositions of natural landscapes and the urban environment. Central to the work is the exploration of the formal and expressive possibilities of a motif as revealed through the process of language and art. Robert's work is represented in numerous corporate and private collections and has been exhibited in solo shows at the Lancaster Museum of Art (1998), the Westmoreland Museum of Art (1988) in Pennsylvania, and the Academy Art Museum in Easton, Maryland (2001). He has participated in numerous group museum shows including the Ogunquit Museum of Art, Maine, Bates College Museum of Art, Maine, and Colby College Museum of Art, Maine.